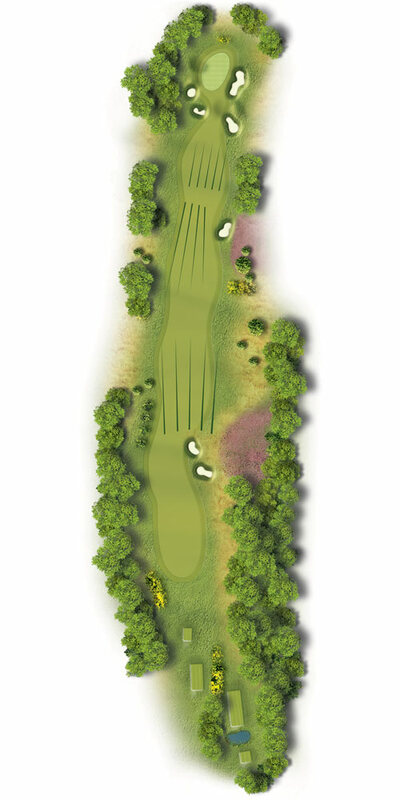 Generally playing downwind, this par five is reachable in two if a drive can be threaded down the narrow fairway just to the left of the two fairway bunkers. The second shot in also requires accuracy as many bunkers await an errant shot. A sound three shot strategy will afford the chance of a par. A drive to the wider fairway short of the bunkers, followed by a lay-up short of the next fairway bunker will leave a mid-iron to the green.